GRAWE is an insurance company which, together with IGAS, supported the winning team of students who wrote papers on "State, needs, opportunities and importance of insurance of assets in Bosnia and Herzegovina with a reflect on natural disaster of last May", by providing them with scholarships to attend Seminar Week, as a part of the 70th Forum Alpbach. The competition was held as part of the summer semester in academic year 2013/2014 at the Master course at the Schools of Economics and Business Sarajevo. Eighteen student groups of the postgraduate studies of the Industry of Insurance at the School of Economics and Business Sarajevo spent the summer semester of 2015/2016 school year preparing group projects focused on the reform of the pension and health insurance system in Bosnia and Herzegovina. Members of the winning team were awarded with a full scholarship for this year’s Seminar Week during the European Forum Alpbach 2016, by the initiator and sponsor of the competition - GRAWE osiguranje d.d. Sarajevo. Thanks to the support from the Center Municipality of Sarajevo, IGAS provided funds for many students from the Center Municipality for European Forum Alpbach during the 2010., 2012., 2013. and 2015. year. School of Economics and Business Sarajevo at the University in Sarajevo enabled us to use their conference room during the realization of our projects, and so recognized the importance of the European Forum Alpbach, as well as the work of the IGAS volunteers on the projects that students and young people in Bosnia and Herzegovina benefit from. 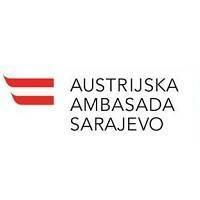 The Embassy of the Republic of Austria in Bosnia and Herzegovina, as well as the Ambassador Donatus Köck supported IGAS during te realization of the Sarajevo World Cafe and especially during the fourth Cafe-a "Our expectations: The Future of Culture and Art in Bosnia and Herzegovina".